The backwaters is struggling to cope with the enormous number of houseboats that now cruise the Kuttanad. Despite stringent regulations, inevitably, the boats are having a real impact on the ecology and hydrology of the area which when combined with the more intensive modern farming is probably changing the backwaters for ever. One solution is our punted houseboat which cruises the more northern stretch between Alappuzha and Cochin in Cherthala Taluk. There is no engine so you cruise in a very leisurely fashion through narrow canals on your own. 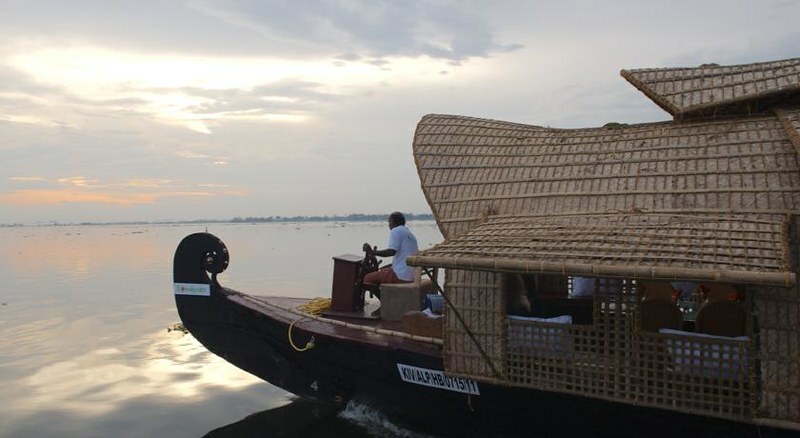 This is not the fashionable Kuttanad stretch of the backwaters and is all the more charming for it! 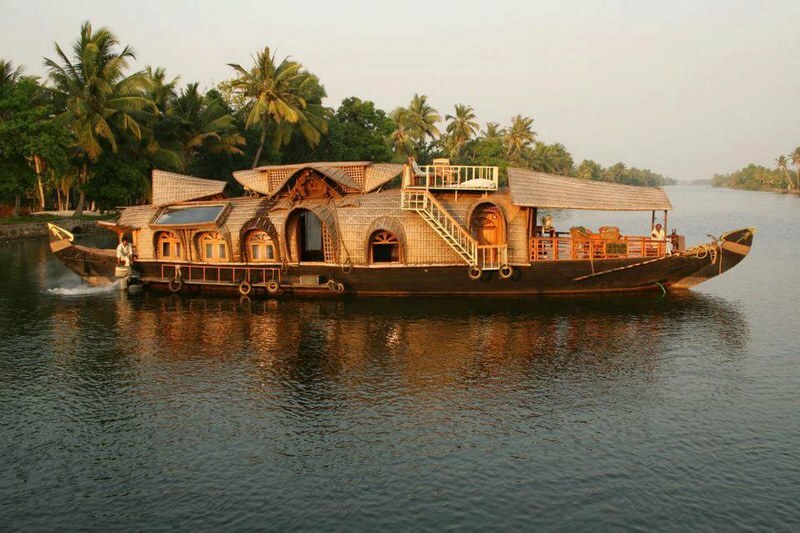 Super traditional Kerala houseboat from Alappuzha with traditional wooden interior! Perhaps the most peaceful houseboat in Kerala and cruising its own grounds from Cherthala. 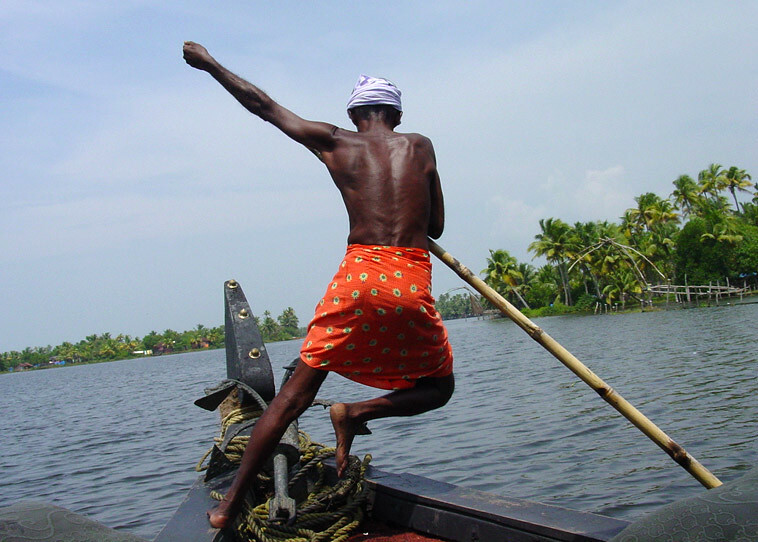 With no engine you move at the speed of the punts that propel you quietly along the small canals in this unexplored corner of backwaters. Eco friendly and tranquil - KarmaKettuvallam is a traditional slice of Kerala!